FADE TO BLACK Original Vintage Theater-Used Folded One-Sheet Movie Poster (1sh; measures 27" x 41" [69 x 104 cm]) Condition: Good to Very Good (C5), tape on back. Extra vertical foldline at left and right. 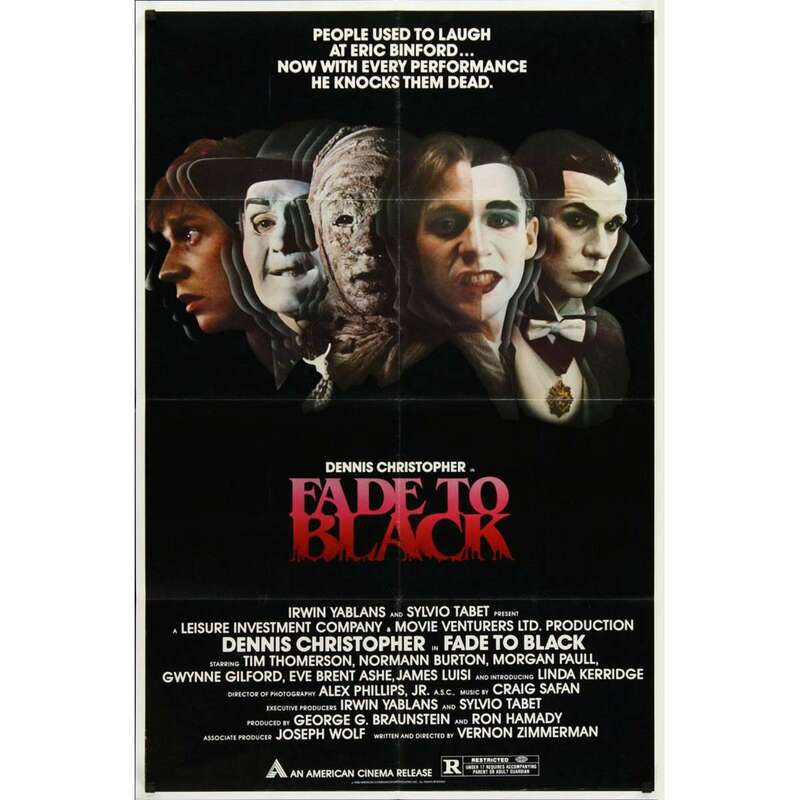 Fade to Black is a 1980 slasher film starring Golden Globe-nominee Dennis Christopher, Eve Brent Ashe, and Linda Kerridge. Mickey Rourke also appears in a small role as a bully and one of the killer's victims. The film was nominated for many Saturn Awards, and Eve Brent Ashe won one for Best Supporting Actress for her short ill-fated role as the antagonist's bullying aunt and very first victim. The film now retains a cult following.